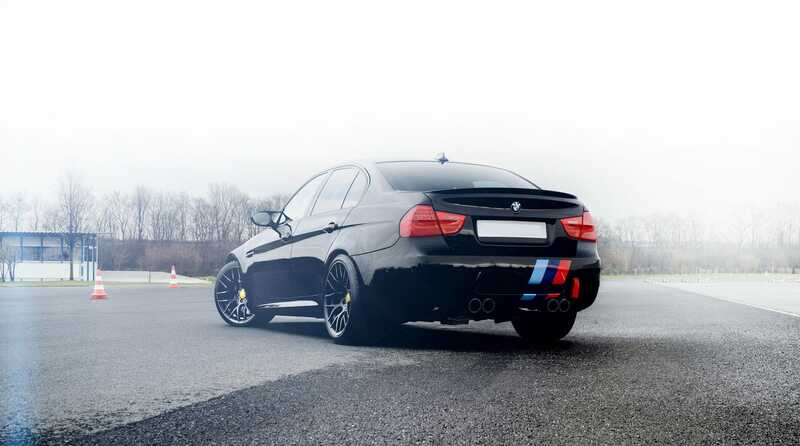 The BMW M3 is a sport sedan version of the BMW 3 Series, developed by BMW’s in-house motorsport division, BMW M.M3 models have been derived from the E30, E36, E46, E90/E92/E93, and F30 3-series, and sold with coupe, saloon and convertible body styles. Upgrades over the “standard” 3-Series automobiles include more powerful and responsive engines, improved handling/suspension/braking systems, aerodynamic body enhancements, lightweight components, and interior/exterior accents with the tri-colour “M” (Motorsport) emblem.The M3 is both a yardstick and a target, considerably different from its predecessors, but with a clear heritage of performance. It boasts an aggressive face, a turbocharged 6-cylinder engine, a rigid and relatively lightweight chassis, and, most importantly, some amazing performance.